The annual Christmas Parade is a favorite tradition in downtown that draws thousands of people each year. We need volunteers like you to help make this a successful event. 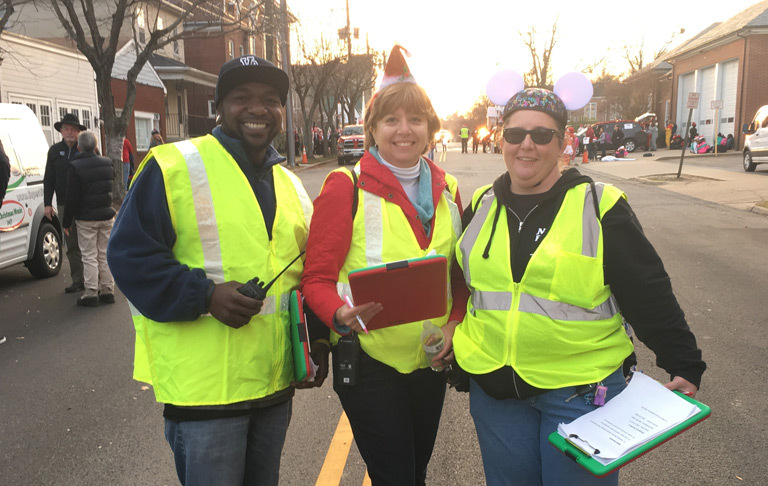 Volunteers must wear warm clothes and be a minimum of 18 or 21 years or older depending on volunteer position, and have the ability to address situations which may require the involvement of a mature and level-headed adult. Parade day crowds are busy and excited; our volunteers need to be comfortable with crowds as well as cold temperatures. Please contact us now to find out more about volunteering at this event.